A roaming profile is a feature of Domain server which allows users to access their personal data on any computer which is joined under the same domain on the same network. So basically the users are logging into their profile whose location is defined on the domain server. So every time a user logs in they are redirected to their profile location so this action becomes computer independent. Earlier this feature was limited with Windows Active directory domain server but with the introduction of Samba4, roaming profiles can also be implemented to windows NT machine joined under Linux (Samba4) domain server. The following commands are tested on RedHat 6 and CentOS 6. 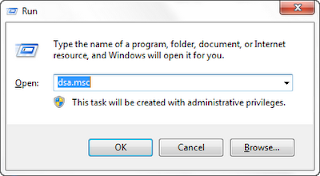 Now go to your windows client machine where you have installed the remote administration tool for your domain server. 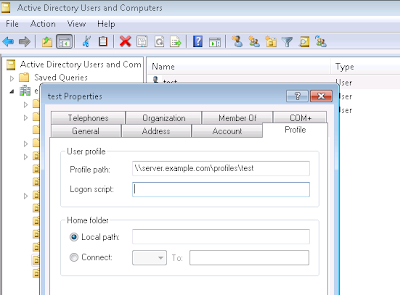 Once done go to the client machine and login by the username of the domain user for whom the profile path have been set. Now this time the user will login to the server where the profile location has been mentioned. Here test is the directory created when my user logs into Windows XP and test.V2 is used when the user logs into Windows 7. Here test is the directory created when my user logs into Windows 7 and test.V2 is used when the user logs into Windows XP. Thank You for marking the mistake. nice tutorial, while i was working on it i found my self stuck in a place where my windows 7 client was not logging in through profile path i gave, it was giving me an error saying "you are logged on using a temporary profile work done on this cannot be stored", surfing through internet i found that changing profilelist key in regedit can work this error out. 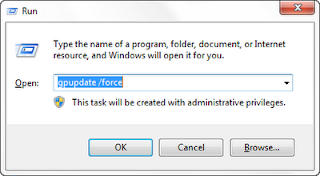 Deleting an entry will force Windows to look up the users profile from the domain controller and restore the profile". From what I have tested and been using in Samba 4 release 0 I did not did any registry changes for adding Windows machine into AD and using roaming profiles. We're okay with pushing people toward the most user-unfriendly editor to ever have come out of the vietnam war era? You may want to say $EDITOR instead of vi, just so there's a chance people can use anything else. I've been happier for the last 20 years, having learned there were other options. That is a nice piece of advice but I have seen many new comers to Linux who are yet unaware of most of the commands so it might be a difficulty for them to understand this variable and choose some editor of their own for many of my posts. But yes thinking out of the box is something which even I prefer and I will try to implement your suggestion so that readers get to know about other editors as well.